I am unapologetically a mostly DC guy. I read Marvel titles. This week, my comics were Marvel heavy. But deep down, I’m a Justice League kinda guy. Needless to say, Batman will be in my top five a lot. This week, is a special treat. After last months Batman &… Batman was in pursuit of Ra’s al Ghul who has the bodies of Batman’s love and son. After chasing him across the globe, and for several issues with help from Frankenstein (among others), Batman has the sarcophagi in his grasp only to be attacked by G. Gordon Godfrey and a mass of Parademons. This issue picks up from right there, it’s Ra’s, Frank, and Bats against an army from Apokolips. A few guest stars, and a massive fight leads into the next story line for Batman & Robin, which is getting its old name back. 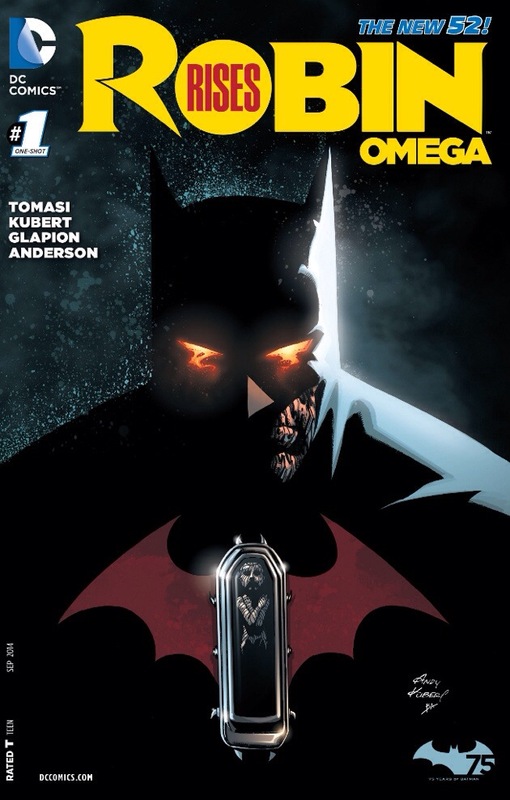 The story was well crafted, although I’m not sure about bringing the New Gods in on a Batman title. It doesn’t seem forced, just odd. The art was beautiful, I’m a big fan of all the Kuberts.